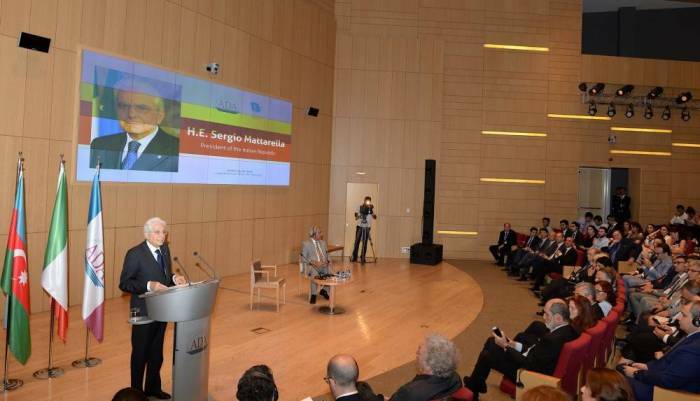 “Italy is committed to the peaceful settlement of Armenia-Azerbaijan Nagorno-Karabakh conflict based on the respect for UN Security Council resolutions and the norms and principles of international law,” said Italian President Sergio Mattarella during his speech at ADA University as part of his official visit to Azerbaijan. President Sergio Mattarella noted that Italy backs peaceful resolution of the conflict based on the UN Security Council resolutions and documents adopted by European institutions as well as international law. The Italian President said his country supports peace and development in the region. 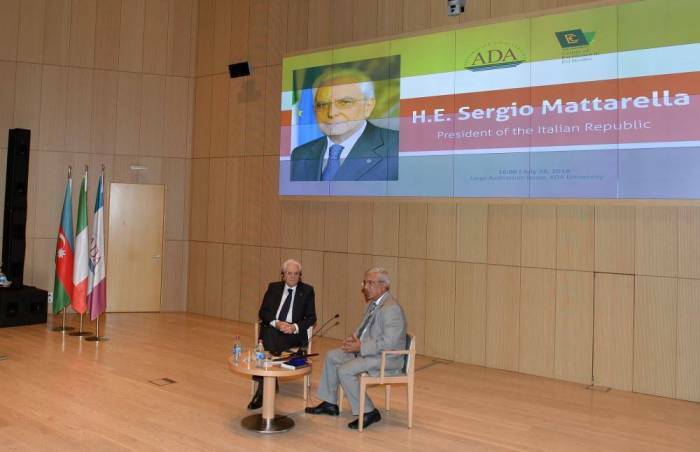 Rector of ADA University, Deputy Foreign Minister, Ambassador Hafiz Pashayev described the meeting with the Italian President as a milestone event in the history of the university. 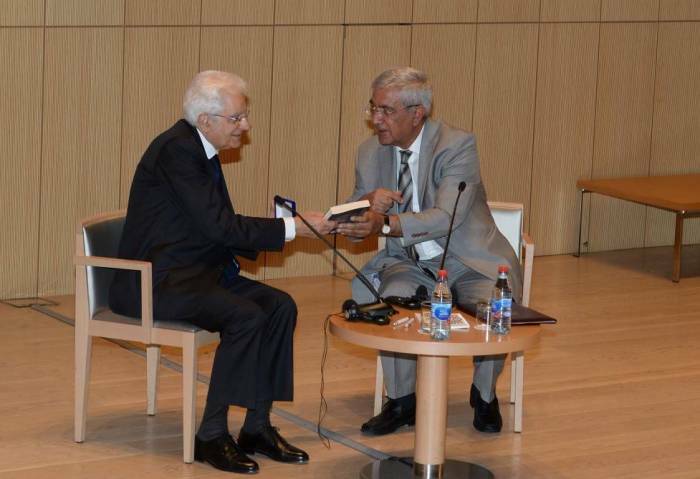 He presented a medal of ADA University and a copy of his book "Manifesto of an Ambassador" in Italian language to Sergio Mattarella. The event also featured a ceremony to award certificates of Italian government scholarships for studying at Italian universities to 17 Azerbaijani students.